I am have a great time here planning out my "War of the Witch Queens" adventures. My 5th Ed game is running like a well oiled machine and there is nothing I need to plan for it for many more months (I need a high level adventure to cap it off). This week I finally got a copy of an adventure I have been wanting forever; Dark Druids by Robert J. Kuntz. It is a real treat and worth the wait and money I paid for it. I had been researching Irish myths and legends and read about how Liath, Bodhmall, and Finn defeated an enemy known as the Dark Druid. It was quite a fascinating tale and I loved the idea of an evil druid. I want to talk today about the Dark Druid class, but first a little background. 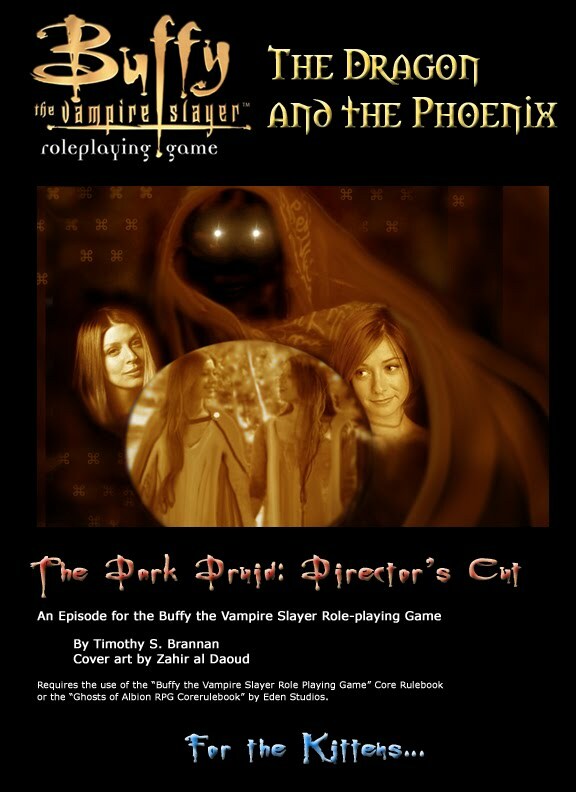 Many years ago I wrote an adventure for the Buffy RPG called The Dark Druid. Actually it was the first ever published Buffy adventure. 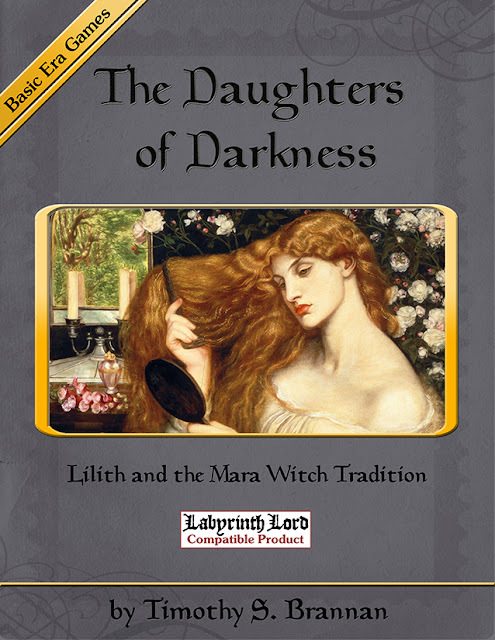 The adventure was a Willow and Tara focused adventure dealing with their past lives, Liath and Bodhmall, Finn MacCool and the Dark Druid "Fer Dorich". The idea was compelling enough that Irish author Brian O'Sullivan took the same characters and same myths and put his own spin on them in his books the Fionn MacCumhail series. Like I did he has Liath and Bodhmall as lovers and he even has a Dark Druid, a "Tainted One". I bring this up because HIS Dark Druid is much cooler than mine. Mine is simply evil. His is a perversion of nature. In gamer circles we might want to describe this in terms of undeath or even Cthulhoid like nastiness. O'Sullivan is better than that. His Tainted One radiates a level of "wrongness" that it is noticed my Ban-drui Bodhmall from miles away and even puts fear into the legendarily fearless Liath. Back to my Dark Druid for a bit. 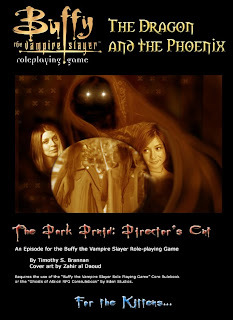 The adventure was designed to be a modern tale (thus the Buffy) system. Part 2 took place in Victorian times as Ghosts of Albion: Blight. The main enemy was an unnamed necromancer that is imprisoned in a faerie ring. In publishing it was the necromancer, Lord of Dragons from Ghosts of Albion: Embers. In my personal games it was the same Dark Druid. Part 3 was supposed to take place back in Mythic Éire and deal with Liath, Bodhmall, and Finn defeating the Dark Druid for the first time. Three parts separated by time. Part 3 was going to be called "All Souls Night" (after the Loreena McKennitt song). 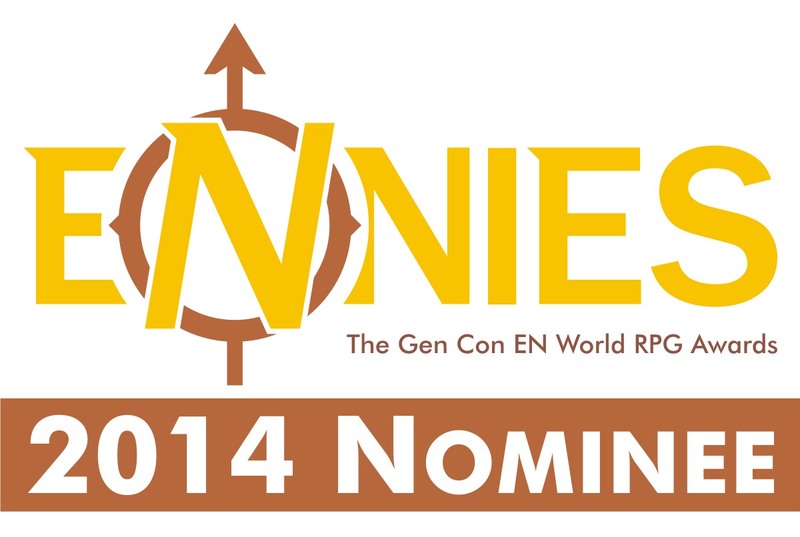 It would have been for *D&D-ish and included the new classes the Dark Druid and the Green Knight. I did write bits of of it for 3.0 and the Dark Druid and Green Knight live on as Prestige Classes (but I am not going to talk about those today). I was going to release it, but now I don't have too. Brian Young gave us the wonderful Codex Celtarum and the adventure Night of the Spirits for Castles & Crusades. Night of the Spirits does pretty EVERYTHING I wanted to do with All Souls Night. It even has a Dark Druid. 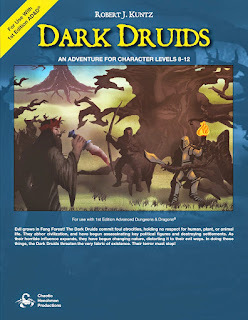 Dark Druids is a similar adventure. I am not reviewing the adventure yet, but I do want to talk about the class it offers; The Dark Druid. The class is like the Druid of AD&D source; only this time OSRIC. It can be any evil alignment or Chaotic Neutral. This has some logic to it. 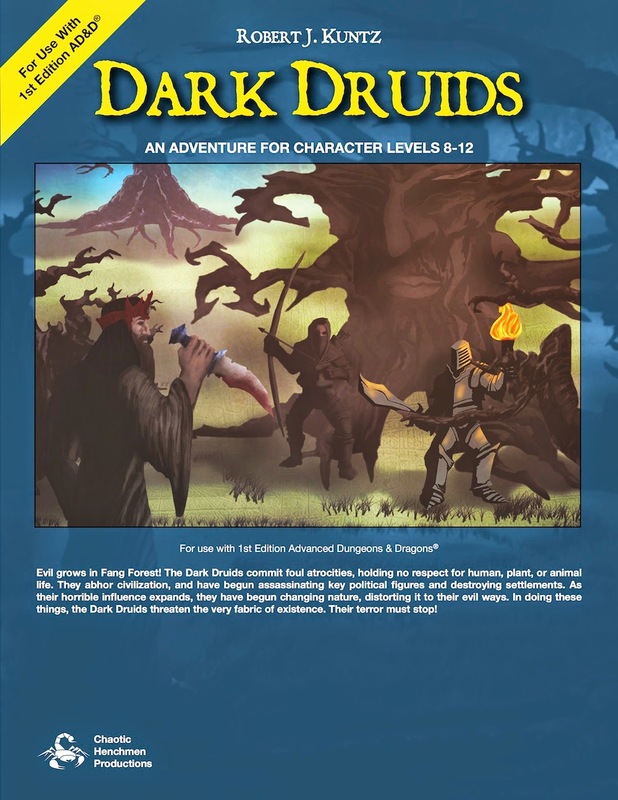 The book includes the Dark Druid class and two different sects of Dark Druids. Dark Druids eschew hierarchies so there are no "high priests" but many that might claim that title. There are "Dread Hierophants", but that really can be more about power than actual religious hierarchies. Advancement wise they are like Druids. The only thing I didn't care for was that the Dark Druids are controlled by a demon. I would think that they are controlled by something older and more evil. An Eodemon or Urdemon or even some other horror from beyond; something outside of reality. The book also comes with 42 new spells. 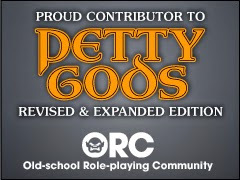 I did not see an OGL statement with any of this. Given all this The Dark Druid would also make for a great class in Astonishing Swordsmen & Sorcerers of Hyperborea. I would avoid giving the Dark Druid too many necromantic spells. Sure he can have some, but that is not their role. Some of the vivimancer spells from the Complete Vivimancer are a good choice. Obviously there are some good witch spells as well. There is a lot of potential for a class concept like this.